Looking for accommodation while you visit Wales? Our directory has plenty of choice! Warm family welcome. Comfortable bed & a hearty breakfast. Select from over 600 accommodation rentals in Wales from HomeAway Holiday-Rentals - The UK's Number 1 holiday rentals website with over 185,000 holiday homes around the world. Lauriston Court is a hotel located on Llandudno's North Shore with it's famous promenade is open all year round for the perfect getaway. Dining & bar facilities available. 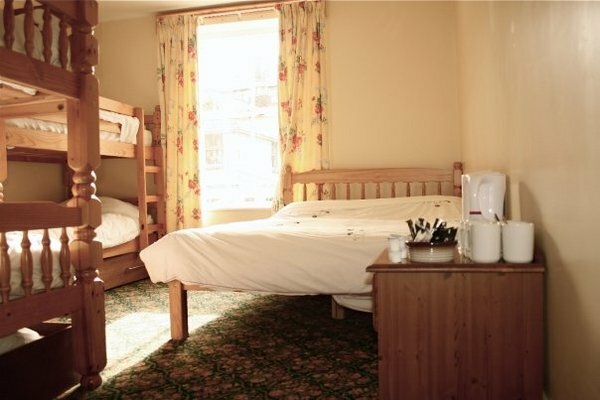 The Llangollen Hostel offers clean and comfortable twin and double rooms, en-suite family rooms, private four-bed and six-bed en-suite rooms, and a great value six-bed dorm. Our friendly staff will ensure you have a pleasant and happy stay. A gorgeous hotel based in the charming village of Llanrwst, not far from the beautiful region of Snowdonia. Pet friendly holiday cottage sleeping 4 people in it's own delightful cottage garden and located between the Spectacular Wye Valley and Vale of Usk. Only 3 miles from the popular border town of Chepstow and easy access to both the M4 and M5 make this an ideal location for exploring this part of Wales. Morfa Lodge Holiday Park is ideally located in the foothills of the Snowdonia Mountain Range. It is a family owned park that has been in operation for over 40 years. A great family orientated Holiday Park with a wonderful selection of holiday homes and lodges for sale. No. 6 Church Walks is a small Llandudno B&B run by resident proprietor Pauline Hastings. The Llandudno guest house is recently opened and has been fully refurbished, decorated and equipped to a very high standard to provide superior accommodation. North Wales Holiday and Caravan parks are a major feature of North West and Wales life. In this guide you will gain great tourist information which will help you choose the best venue and activities. A delightfully restored Bed and Breakfast in Snowdonia which is always a popular place to stay for those visiting Betws-y-Coed. The Oakley Arms is a welcoming, beautifully restored hotel set in Maentwrog, Snowdonia. The hotel dates back to the 16th century and has been rennovated to offer modern and comfortable living space, whilst showing off its exceptional Welsh heritage. The Oakley Arms Hotel is the perfect place to base yourself for a break or holiday away in North Wales and Snowdonia.